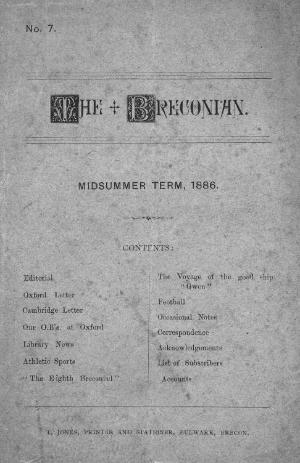 The periodical of Christ College boarding school, Brecon, which mainly published school news. The periodical was until 1890 published triannually, between 1891 and 1967 published irregularly, from 1967 biannually, and between 1972-1976 and from 1986 onwards it has been published annually. The periodical has had a large number of editors with the editors and deputy editors changing regularly over the years.